The modern pharmaceutical industry has evolved entirely during the era of marijuana prohibition. When Anslinger declared war on weed, pharmaceutical chemistry and, most particularly, psychiatric chemistry were barely in gear. 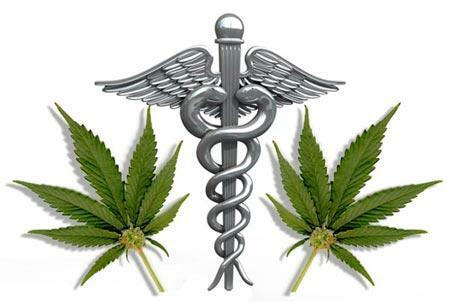 Prior to 1937, a significant percentage of remedies in the AMA register made medicinal use of cannabis, and yet by the 1970s the medical establishment had declared marijuana to have no medical uses, in order to classify it as a Schedule I narcotic. How did the majority of the US medical establishment reverse their view on a drug in just two generations? Here, again, we see the power of Hearst propaganda, but we also see another perverse incentive at work; there’s money to be made in banning cannabis. The pharmaceutical lobby, which I shall follow Ben Goldacre and refer to as Big Pharma, came into existence during the era of designer drugs which emerged after the Second World War. Chemists were, with remarkable speed, finding new and interesting ways to mess about with biochemistry, and many of these inventions were quite genuine medical miracles. But along the way, a bizarre incentive arose; important US institutions make more money if people have to go to a doctor and buy a pill than if people don’t. Health being too good is a problem for Big Pharma. A parallel problem is people having access to effective remedies no-one owns a patent on. And that’s the problem Big Pharma have with cannabis. We’re all accustomed to scientists debunking natural remedies; this is because a great many such ‘remedies’ are pure hokum, like homeopathy. Others, however, work; willow bark does treat headaches, and quinine did cure malaria. But for the accident of Anslinger, the things we now know and can prove about cannabis as a valuable self-medication for pain, depression, insomnia, and muscular spasmodic conditions would have become common knowledge in the 1950s. Cannabis is a natural remedy for a number of basic ailments which you can make at home, and if it were accepted as such a great many less people would be taking depression medication or popping paracetomol. And that means big money wants cannabis to remain prohibited. The Partnership for a Drug-Free America is a typical pressure group. They were the vehicle for much of Nancy Reagan’s moralizing: it was the PDFA which produced the infamous, risible fried-egg videos. They have a long and fact-free history of saying anything they can think of which will shut down dissent from the manufactured consensus that drugs are bad, mmkay? And right from the start, they’ve been funded by Big Pharma, receiving generous grants from the Robert Wood Johnson foundation: that is, from the personal philanthropic organ of chemical giant Johnson and Johnson. This connection between the drug warriors and the industrial lobbies threads together each installment in this series. Every special interest which benefits from marijuana prohibition donates to the PDFA. Alongside any Big Pharma conglomerate which sells pain medication or anti-depression pills are a laundry list of the major alcohol producers, the Big Tobacco roster of habitual villains, and most recently the private prison operators. Prohibition remains federal law in the US because large and well-funded interest groups make very considerable amounts of money from it staying that way. For a group fighting drug abuse, the Partnership has taken cash from some odd parties—including American Brands (Jim Beam whiskey), Philip Morris (Marlboro and Virginia Slims cigarettes, Miller beer), Anheuser Busch (Budweiser, Michelob, Busch beer), R.J. Reynolds (Camel, Salem, Winston cigarettes), as well as pharmaceutical firms Bristol Meyers-Squibb, Merck & Company and Proctor & Gamble (Marin Institute Backgrounder, 2/97). The Partnership recently announced it will quit its alcohol and tobacco habit but will continue to mainline pharmaceutical checks (Village Voice, 3/12/97). And its silence continues on America’s deadliest drug problems: tobacco (400,000 annual deaths), alcohol (100,000, including 20,000 from drunken driving), and pharmaceuticals (6,000 to 9,000). I’m going to talk about the medical uses of cannabis more extensively later in the series, at which point the financial interests of Big Pharma will rear their heads again. But some of the basics of this discussion are now very obvious. The evidence on cannabis as a cancer inhibitor, and as a treatment for MS sufferers and any other chronic pain condition, is not disputed. These are conditions in which patients must buy and take multiple, patented pills every day. If a significant percentage of those customers could grow their own or pick it up at cigarette prices from the local dispensary, Big Pharma loses an enormous amount of money. Even at the most basic level, cannabis is legendary for relieving stress and thus preventing the symptoms of stress; a heavily medicated, and thus very lucrative, public health problem which has arisen over the last thirty years. Cannabis stays banned in part because the pharmaceutical lobby don’t want the competition. Legal cannabis is a threat to entrenched financial interests. It is a threat because it cannot be effectively controlled: seventy years and trillions of dollars have been wasted proving that. If Big Pharma can’t patent it, then they don’t want it around. But they like chemical abstractions such as Sativex, and by creating and promoting such patented products, Big Pharma drives a stake through the heart of the primary argument for maintaining cannabis as a Schedule I controlled substance: that it has no recognised medicinal value. The taboo on discussing cannabis prohibition has begun to crack because too much data is in the hands of too many people, and because for a long time now cannabis has violated the Iron Law of Prohibitions. The law lags behind society, and in so doing condemns thousands to unpleasant lives of violence and crime, because powerful men get rich from keeping it that way.